Frost, snow, and wind are the worst things that could happen to your lips. Under the influence of low temperatures lips become dry, flaky, red, cracked and hurt. Fortunately, there is a cosmetic that can deal with all the inconveniences brought by winter weather, and your lips will regain their beautiful appearance. This cosmetic is of course the EOS lip balm. Why do lips become dehydrated and chapped? The skin of your lips is very thin and sensitive. Additionally, there is no keratosis and it does not have any sebaceous glands. As a consequence, it is not protected with any lipid barrier. Cold wind, and frosty air also contribute to worsening skin condition. Therefore, it is recommended to use deeply moisturising creams and sunscreens. This way you will avoid irritations, frostbite and burns. 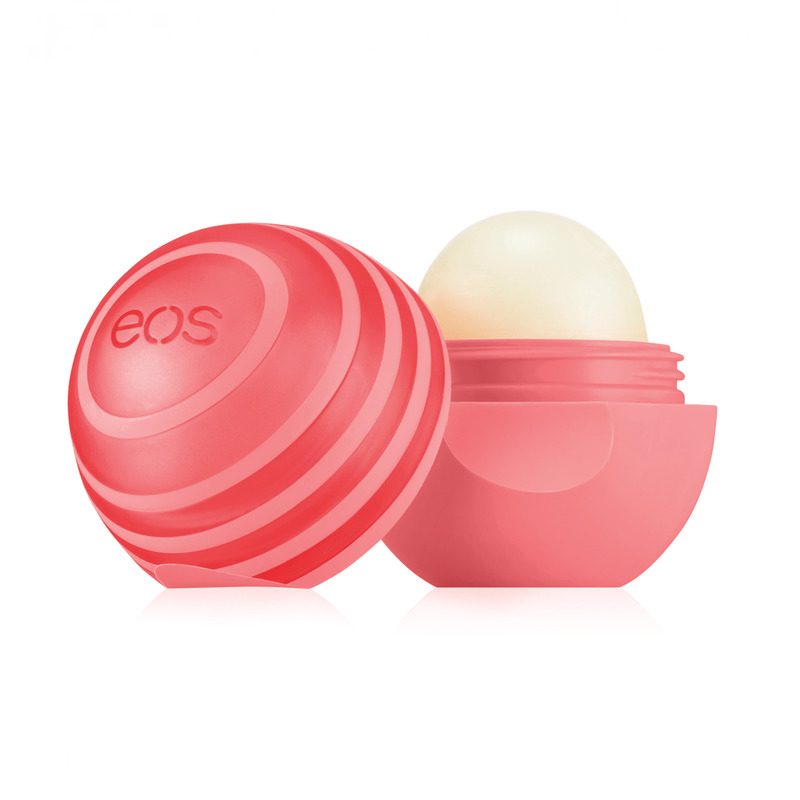 Try out EOS balms.You will surely fall in love with this remedy for lip problems. Vanilla Bean, Passion Fruit, Strawberry Sorbet, Blueberry Acai, Pomegranate Raspberry, Summer Fruit, Sweet Mint, Honeysuckle Honeydew, Medicated Tangerine. These are the flavours of EOS lip balms. Not only they nurture your lips but also ensure smooth and pleasant application as well as stimulate senses. Although they smell beautifully and taste great, it is not recommended to consume them. After all, they are still cosmetics. Furthermore, they have very original design. EOS lip balms look like colourful ball, some people refer to them as eggs. They come in various colours: pink pastel, green, red, blue, some have stripes. Each colour represents different flavour. The product is small, thanks to which it will always fit into your handbag or pocket. Colourful design, incredible scent and flavour are not everything. EOS lip balms comprise a diversity of nutrients. Each of which contains ojoba oil, shea butter and vitamin E. These substances are responsible for hydration, nutrition and protection against harmful external factors. Thanks to using EOS lip balm, winter frosts, freezing temperatures and snow will no longer be a threat to your skin.